Do You Need To “Sell My House In San Francisco” FAST? Looking to sell a house in San Francisco FAST? For a FAIR PRICE without paying any realtor commission? Sell AS-IS without making expensive repairs? House Heroes is San Francisco’s top cash buyer. We buy “as-is” – you never pay for renovations. Fair cash offers guaranteed. Close in days. Agent home sales are never this simple. Realtors expect you to pay hefty commissions and you have to deal with open houses, online listings, and that “for sale” sign on your lawn. House Heroes makes selling a San Francisco house easy. Don’t make repairs, pay realtors, or wait months. Click the button below to learn how our “3 Step Home Buying Process” works. Want a fast and easy San Francisco home sale? House Heroes buys real estate in just three steps . . . Step One. Contact House Heroes. Give us a call at (954) 676-1846 or fill in our simple form by >>clicking here<<. We get some details to prepare an offer. Step Two. Get Your Cash Offer. We make you a no-hassle, no-obligation cash offer based on San Francisco comps. Our offers are fair and completely free. Step Three. Close Fast. House Heroes closes quick (not mortgages necessary). 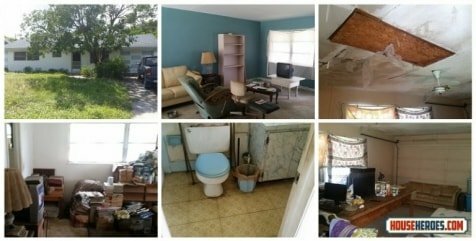 Whenever you sell to us, you make no repairs and pay no commissions. Thinking about paying a realtor near San Francisco? The downside of agents is you pay them upwards of six percent commission even if you find the buyer or they fail to get you the priced they claimed. The process takes months or even years. House Heroes guarantees smooth and profitable sales. Want a fair offer for your San Francisco house? Wondering how much we can pay? Our offers are cash, no obligation, and as-is. You pay zero real estate agent commission. Just click the button below for your offer! I want to sell my San Francisco house fast for a FAIR PRICE. I don’t want to pay any realtors or make repairs. House Heroes has got you covered! We are A+ rated with the Better Business Bureau with 5-Star Google My Business, Yelp, and Facebook reviews. We’ve been featured by Investopedia, Forbes, Time, U.S. News, Trulia, and many others. Client video testimonials. Other companies claim to be “cash buyers” – we have the bank statement to prove it. As a San Francisco buyer, we understand the local neighborhood values. You don’t have to worry about getting a low offer or wasted time. We’ve been buying houses in San Francisco since 2013. The House Heroes team strives for total client satisfaction. Click the “About Us” button below to get more info about our company! Need to sell fast? House needs renovations? We buy property no matter what. Here’s a couple examples . . .
2505 NW 60 Ave. This house was practically a tear down! 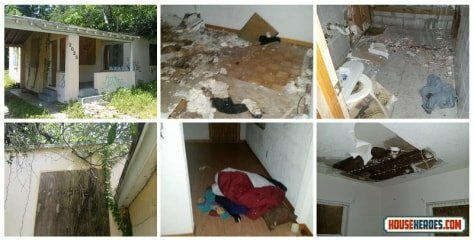 Squatter vandalized with no electric, collapsing roof, and spray-paint throughout. 16 Belgrove Drive. The owner needed to sell ASAP due to an impending tax lien auction. We closed in under three weeks. There is more info about House Heroes on our site. Check it out! Visit the About Us page to learn more about House Heroes! San Francisco market data shows an 870,887 population, 38 years median age, $103,801 median household income, and $61,736 per capital income. Estimated house value is over $1,000,000 with average rents at $1,784. Trends show a $1.3 million listing price, $1.4 million closing price, 1,150 homes for sale, and 549 homes for rent. San Francisco area includes cities of Santa Rosa, Hayward, Sunnyvale, Concord, Santa Clara, Vallejo, Berkeley, Fairfield, Richmond, Antioch, Daly City, San Mateo, Vacaville, San Leandro, Livermore, Napa, Redwood City, Mountain View, Alameda, San Ramon, Pleasanton, Milpitas, Palo Alton, Walnut Creek, Cupertino, Petaluma, San Rafael, Novato, Brentwood, Gilroy, Dublin, Danville, San Bruno, Rohnert Park, Campbell, Morgan Hill, Pacifica, Maritnez, Oakley, Pleasant Hill, Menlo Park, Foster City, Saratoga, Los Gatos, San Pablo, Los Altos, Burlingame, San Carlos, Suisun City, Benicia, Windows, and Belmont. 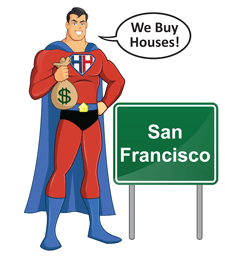 House Heroes makes it easy to “sell my house in San Francisco” fast.